My first perspective of motherhood of course came from watching and learning from my own mother. She is a tiny lady of four feet and ten inches in stature. Anyone who knows her I am sure would describe her as having a joyful peace about her. Rarely speaking a stern word you know she means business if it is required of her. Her sacrificial and unconditional love can only be outdone by the sacrifice and unconditional love of Jesus Himself. Always giving and putting others first especially when it came to her husband, two daughters, and now grandchildren. There is strength about her that keeps her pressing on even within her sorrow in life. Having lost her own mother at the young age of eleven and now recently her best friend and soul mate, my father, has not taken her eyes off of what God wants for her. She has never been one to wallow in self-pity and regret. God has packed an immense amount of His love and power into the little woman he provided as my mother. The second perspective has been becoming a mother myself. There is a significant learning curve required to learn about your own self and for each child God blesses one with. Overcoming one’s selfish tendencies is a major hurdle. Waking up in the night, physical pains, and fatigue are actually minor in comparison to what I am speaking of. There is an element of selfishness that a parent may have in wanting their child to make themselves look good. This can present itself in many ways by how much we fuss over the child’s outward appearance, sports, activities, academics, etc… The first lesson I remember as a parent in realizing my child is their own person that God created and not who I create them to be came when my first born was around the age of two. Full of energy the child never walked she ran everywhere and usually on her tippy toes. At times she was like trying to catch a greased pig and could whip in and out through obstacles quicker than I could spit out her name. One particular church service sticks in my mind. It was actually a revival service with a guest pastor. We were in the season of potty training. Potty training alone presented a huge power struggle between she and I. My daughter decided she needed to go potty right at the start of the sermon. Motherhood frustration switch now turned on. Quietly sneaking out we get to the restroom and the “never mind mom I didn’t really need to go” took place. Motherhood frustration level kicked up another degree. As we entered the sanctuary the speedy darling took off like a rocket escaping my grasping fingertips. Her eyes had focused on the huge set of shiny drums on stage. Oh yes, she ran right up onto that stage as the guest pastor was mid sermon. Motherhood frustration was in full effect now causing me to want to shrink into a hole and disclaim her as being my responsibility. I went into what seemed to be a soundless time warp as I tried coaxing her off of the stage without causing much further distraction. 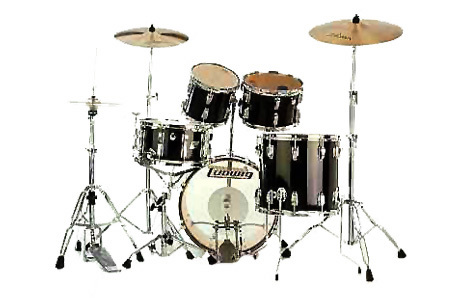 From what I was told she hit a ba dump dump ching on the drums fitting just at the end of one the guest pastor’s sentences as if he just told a great one liner joke. Our church thought it was absolutely hilarious. At that point in time I found no humor in it. There was just this lively two year old that I felt was my responsibility to control and I couldn’t.